In this issue, you'll find five tips to help you make the most out of your A/B-split testing for email marketing. You can also read an interview with L-Soft's Chief Corporate Consultant that sheds light on the services L-Soft's training, consulting and support teams provide to customers. The tech tips in this issue cover URL simplification in LISTSERV and social media sharing in LISTSERV Maestro. One of the more powerful tools that we, as email marketers, have in our arsenals is A/B-split testing. The concept is quite simple and means that you send two or more different versions of a mailing to random splits of your subscribers and compare the response rates to see which version performs better. You can then use these insights to optimize future messages and campaigns. However, to actually obtain meaningful data from A/B-split testing isn't quite as straightforward and requires a little more thought and planning. Here are five simple tips that will help you spend your time more wisely and make the most out of your A/B-split testing. This article is the first in a series spotlighting insights and helpful information in a question-and-answer format from L-Soft's experts. Enjoy hearing about Ben Parker's remarkable 23 years of experience with LISTSERV software, and 18 years of helping customers as a member of L-Soft's staff. Sometimes, customers write to technical support saying that their users can't remember long, complicated URLs and asking how to set up their installation so that the base domain name, for example listserv.example.com, goes directly to their LISTSERV web interface. This is a simple question with a relatively simple answer. In this tech tip, we'll go over two methods of creating a simple entry point to the web interface. When sending email marketing campaigns to subscribers, you can automatically publish your messages on social media platforms like Twitter and Facebook at the time of delivery. You can also embed social media sharing icons in your email that enable your subscribers to share your messages with their own followers. In this tech tip, we'll take a look at how to use this social media sharing feature and reporting capabilities. Are you tired of working in a gloomy cubicle and spending half of your day in meetings or filling out forms? Come work for us. We are constantly looking for new talent. If you would like to work with a dynamic Internet company in a cubicle-free workplace, make sure to check out the following list of currently available positions. 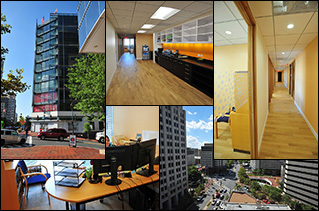 We provide excellent benefits and a progressive, high-energy work environment in the heart of Bethesda, Maryland. Be sure you don't miss a beat with the latest L-Soft and LISTSERV news. Take your pick of ways to keep current. © L-Soft 2015. All Rights Reserved.